In close proximity to numerous hotel meeting facilities, this Emerald Suites - one mile east of the Las Vegas Strip - offers daily, weekly and extended-stay rates for business travelers. The number of bedrooms varies with each locale but all feature a full kitchen, living rooms and private bedrooms at reasonable rates. 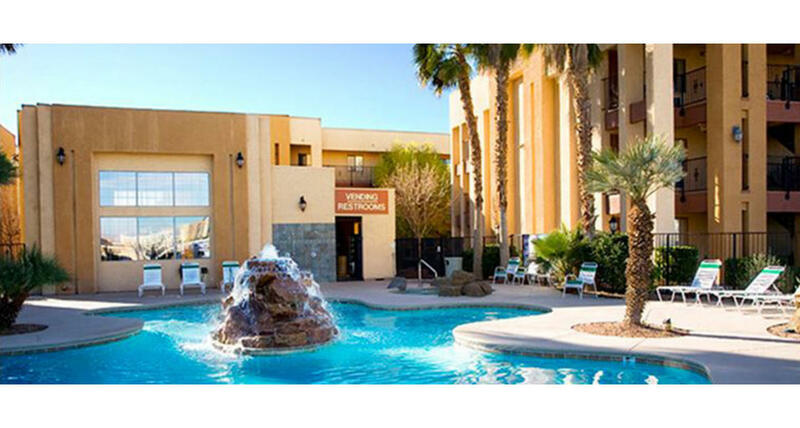 Lush landscaping surrounds a refreshing pool and, of course, all of the dining, entertainment and shopping amenities of the world-famous Strip and downtown are just minutes away. Hours of Operation: Office hours are 9:00 AM- 10pm, daily.